The luxurious and capable 2018 Range Rover Evoque offers buyers everything you expect from a Range Rover in a more compact package. That means plenty of luxury, capability, and versatility with super fuel economy and maneuverability. There are two options for this SUV– the five door and the convertible. Yes, a convertible SUV! Each of these models will offer you impressive cargo space with lots of comfortable space for passengers. The Range Rover Evoque five-door has 20.3 cubic feet of space with the seats up. That means you will have plenty of room for cargo and passengers — no need to choose! The convertible model has 8.9 cubic feet of cargo space no matter the roof position. That’s enough space to accommodate most strollers, golf bags, or shopping bags. The convertible offers seating capacity for four. The easy-to-use Z-folding roof folds in only 18 seconds! 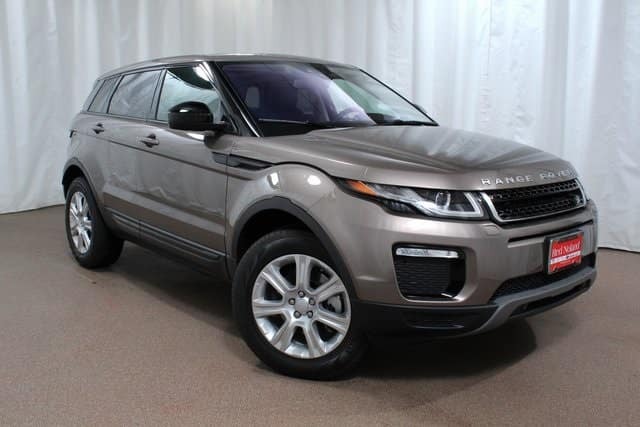 Visit Land Rover Colorado Springs to test drive the five-door Evoque. Test out the impressive features and get to know the super performance and capability. Our Finance Center is eager to help you find the best purchase or lease option for you to be able to drive home your Evoque today.